Ecuadorian government cuts off Julian Assange’s internet connection following his website's publication of emails on Hillary Clinton. 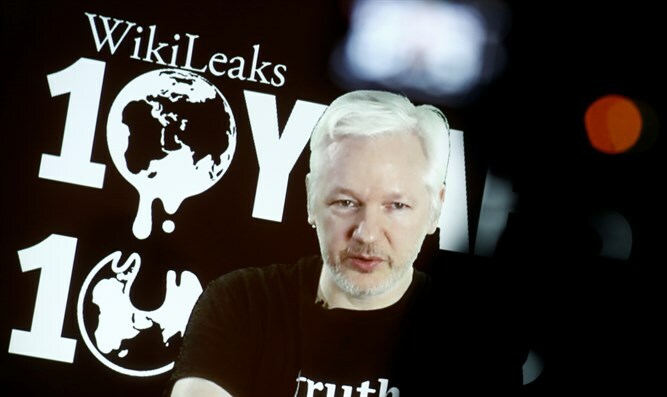 The Ecuadorian government confirmed Tuesday that it cut off WikiLeaks founder Julian Assange’s internet connection following his website's publication of emails allegedly stolen from Hillary Clinton campaign manager John Podesta. “The Government of Ecuador respects the principle of non-intervention in the internal affairs of other states. It does not interfere in external electoral processes, nor does it favor any particular candidate,” Ecuador said in a statement quoted by The Hill. “Accordingly, Ecuador has exercised its sovereign right to temporarily restrict access to some of its private communications network within its Embassy in the United Kingdom,” it added. The emails are believed to have been stolen by the Russian government and their release has been widely seen as a deliberate attempt to meddle in the U.S. election, although some Republicans have lauded their publication. One of the leaked emails reveal some candid concerns of veteran Democrats regarding the former Secretary of State, her family, and her viability as a presidential candidate. Another email revealed that the Clinton family's charitable foundation may have received a $1 million donation from Qatar. Yet another leaked email revolved around the Israeli-Palestinian Authority peace process, and revealed that Clinton pushed for peace talks at any cost out of the belief that peace talks for show are better than none at all. GOP presidential nominee Donald Trump has repeatedly invoked the content of the emails on the stump as evidence that the Democratic nominee is not fit to serve. Assange has also been explicit in his belief that Clinton should not become president. The Clinton campaign has refused to confirm the authenticity of the emails. Despite Tuesday's development, Ecuador will continue to provide asylum to Assange, according to the statement.